Winco BHPP-11 Perforated Basting Spoon with Stop Hook, 11"
Ideal for removing vegetables, chicken, potatoes and other solid foods from their cooking liquid, the Winco BHPP-11 Perforated Basting Spoon with Stop Hook, 11" has a sturdy, smart design. Made of durable stainless steel, this basting spoon is built to last. 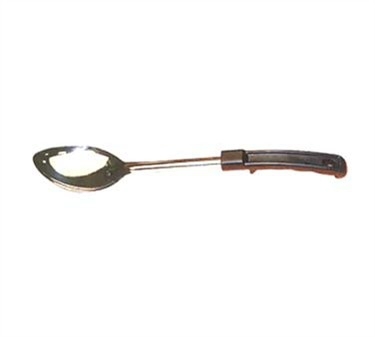 It features a Bakelite handle that protects hands from heat and a convenient stop hook, which prevents the spoon from slipping into the pot, pan, bowl or container.